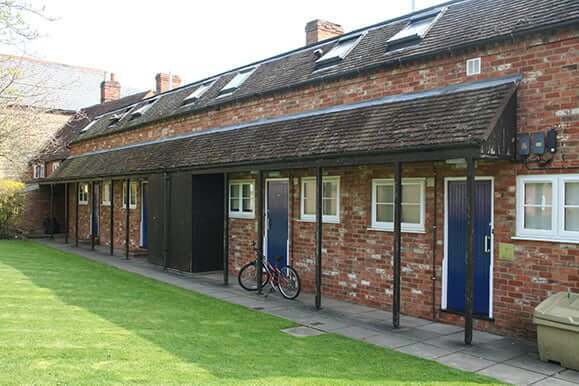 Hutber House is basic accommodation, located right in the middle of the Hunter Street Campus. It is designated quiet accommodation and, like all of our residences, is self-catering. 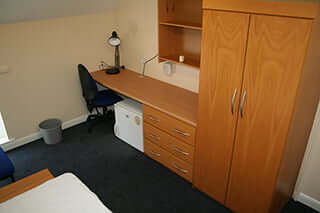 There are 20 single furnished rooms, which vary slightly in size. These rooms are reserved for females. There are two bathrooms located on the ground floor and one kitchen on the first floor. These rooms are reserved for males. 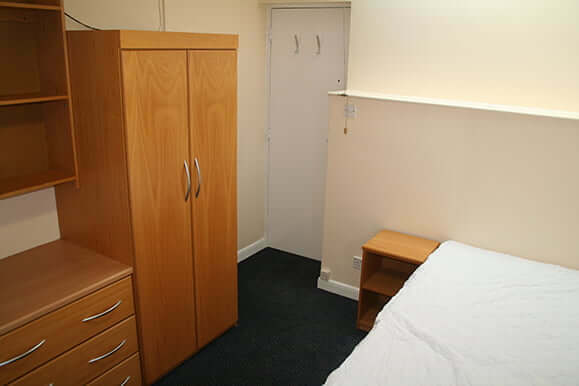 There are two bathrooms located on the ground floor and one kitchen on the first floor. These rooms are mixed gender rooms. The kitchen is located on the ground floor and the bathroom is located on the first floor. All rooms have mini-cools and small vacuum cleaners. Bedding packs are provided to all new students. Each resident has their own kitchen locker. 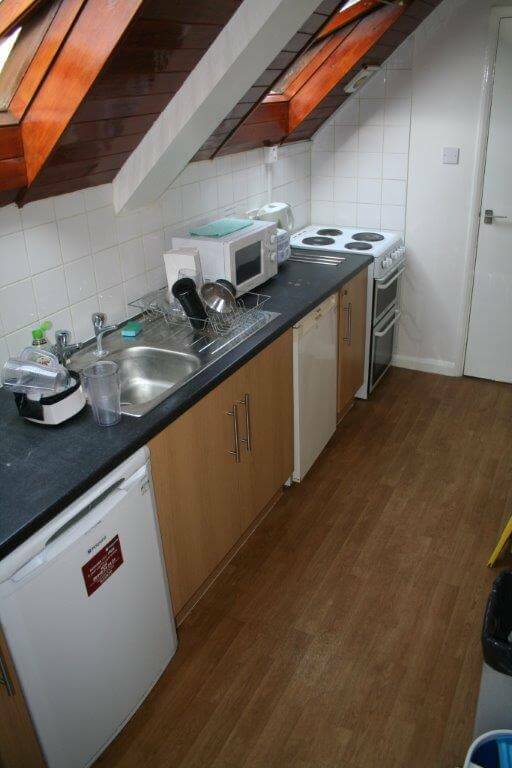 The kitchens are fully equipped with a cooker, microwave, kettle and toaster. Students need to bring their own towels, pots, pans, crockery, knives and forks. 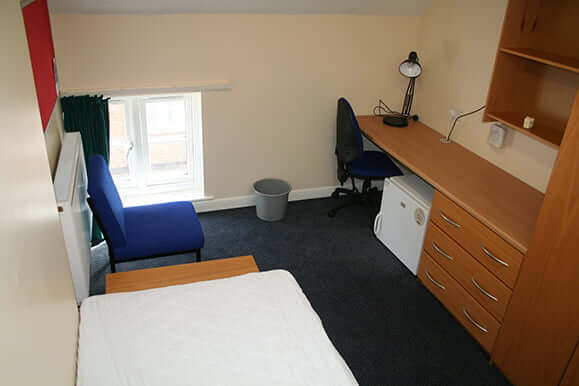 The communal areas are cleaned daily, Monday – Friday (excluding Bank Holidays). To assist our cleaning staff you are asked to wash up after yourselves. 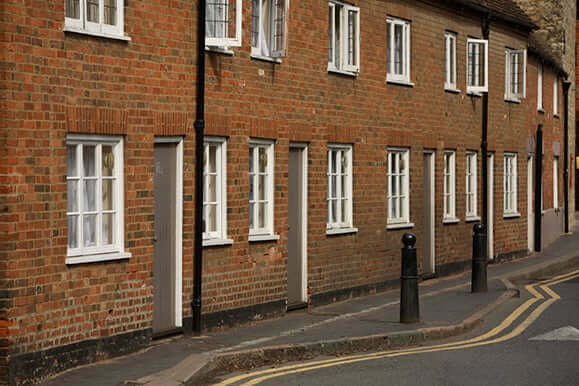 Hutber House is located beside the road running through Hunter Street; this is not a busy road but there may occasionally be some traffic noise. There is a small car park beside Hutber House and Sunley House. Please note – all University staff and students can use this. The nearest laundrette is situated in Hailsham House.